During the São Paulo International Motor Show, which unfolded at the beginning of November 2018, car brands had the opportunity to draw attention to their latest accomplishments. And considering that the event takes place every two years, the companies really had to give their best. The flamboyant car manufacturer Mercedes-Benz was no exception. Aside from presenting the slick lines of the brand-new Mercedes-AMG E 63 S, the automaker had a different, and quite crazy, announcement to make. With all this madness spinning around high-tech gadgets, the company thought that this is the best time to introduce its unusual product. A device that perfectly complements its AMG line and hopes to become a perfect companion for the brand’s aficionados. Harmonizing with both Mercedes enthusiasts and tech-savvy fans, the intriguing product creates a memorable experience, making you think that you are part of the happy Mercedes family, even though you are not a proud owner of the AMG vehicle. But before you learn more about the brand’s accessory, let us tell you something very interesting about it: it is entirely made out of tire rubber. The AMG E 63 S’s tires to be more precise. It would have been even better if the gadget were made by actually recycling the tires. Yet even so, it would be great to have a Mercedes-branded smartwatch on your wrist, wouldn’t it? Well, the wait is over! 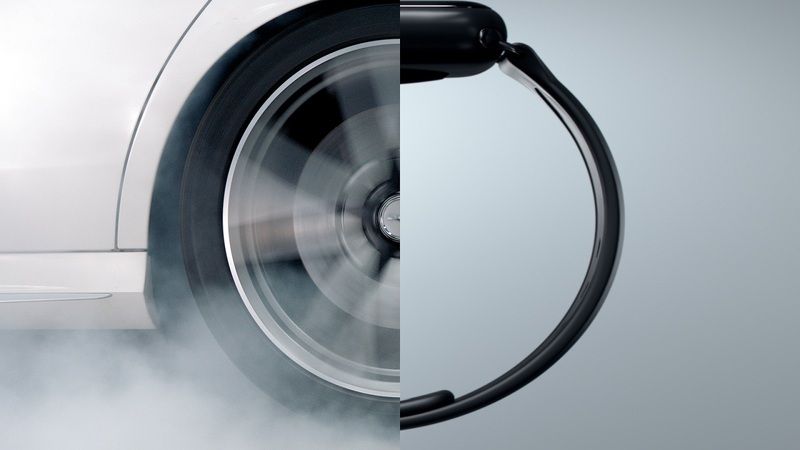 Imagined by F/Nazca Saatchi & Saatchi—the agency that services the automaker through Publicis Emil—Mercedes’s “Project 63” translates as the brand’s effort to use strength and power of the luxury sports car to obtain the main raw material used to make the high-tech accessory, which is tire rubber. 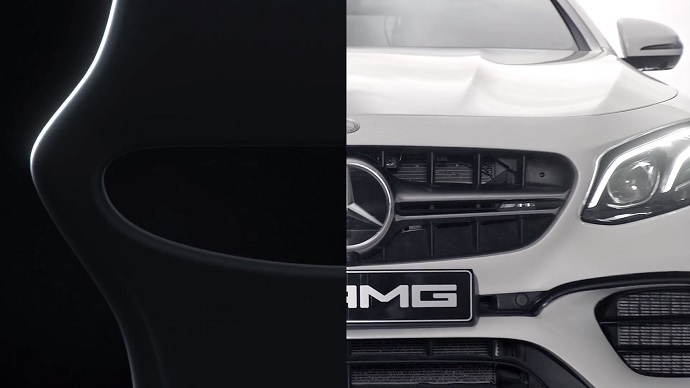 While the São Paulo-based agency meticulously planned the strategy, the production company Underdogs worked on developing the visuals for Mercedes’s new product so that you can watch how the watch band was brought to life. Throughout the 75-second-long video, viewers get to meet with the smartwatch’s “mum,” which seems to be in some “labor pain.” There are burnouts, drifts, and you can even hear an engine revving. But this beautiful “agony” is quickly over, once the watch band is finally born. Like mother, like daughter, the gadget’s aesthetic lines borrow the same aggressive design the car proudly wears. “This project gave us the opportunity to materialize 612 horsepower in different fronts. 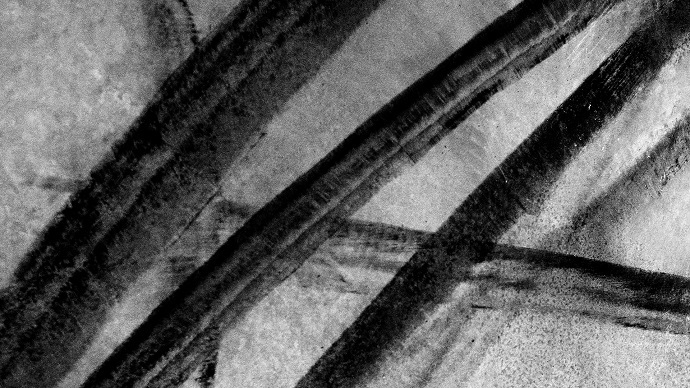 From the design of the strap by an automotive designer we invited, to a sensorial film, to the posters actually made from the tire tracks left on the ground by a Mercedes-AMG”, says Bruno Zampoli, Creative Director. Entirely made of pow(d)er coming from the vehicle’s engine, the limited-edition band is a statement of performance. It boosts the car’s heritage without “giving up any of the qualities and attributes that it represents, such as reliability, quality, and elegance,” says Evandro Bastos, Automotive Marketing Manager at Mercedes-Benz Brazil. The bracelet honors every AMG engine ever built and stands as a tribute to the powerful engines with which the cars are equipped. Only 200 wristbands were made, in two different sizes. 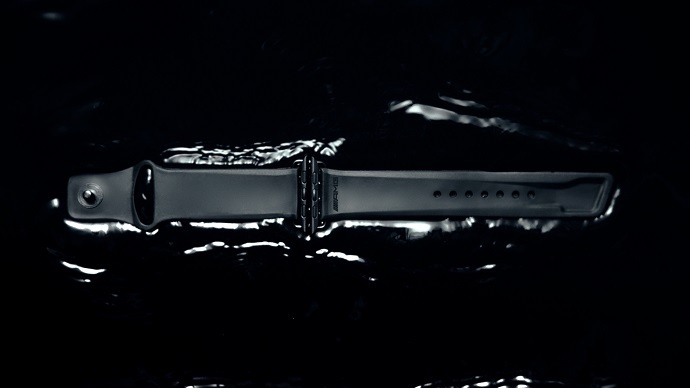 The band is compatible with Apple watch models and you can buy it by accessing Mercedes-Benz’s official webpage. We have to tell you that you need to be a bit patient: the bracelet will be delivered starting December 5th. So, are you planning to buy it or you’d rather prefer to save up to purchase the real AMG?